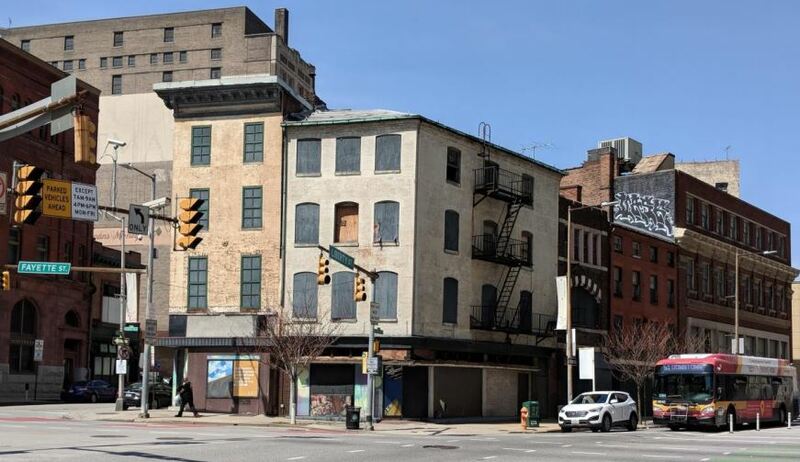 On September 6, 2018, the City of Baltimore Development Corporation (BDC), on behalf of the Mayor of Baltimore (the “City”), issued a Request for Proposals (RFP) looking for redevelopers to revitalize five city-owned parcels on the west side of the downtown. They are seeking written proposals from qualified Respondents for the purchase and redevelopment of City-owned property located in the Market Center neighborhood. The intent of this RFP is to promote the reuse of these parcels in a fashion that will achieve the City’s objectives including job creation, tax generation, adaptive reuse, and a redevelopment that fits within the context of the surrounding area. The parcels are located in the Market Center neighborhood on the westside of downtown Baltimore. It is well served by local transit, located two and a half blocks from two light rail stations on N. Howard Street. The site is also near Lexington Market and located within walking distance from the Lexington Market and the Charles Center Metro Stations. Additionally, the properties are near several entertainment venues such as Everyman Theatre, the Hippodrome, Royal Farms Arena, and more. Baltimore City has an interest in and policy of encouraging the equitable utilization of minority-owned businesses and women owned businesses. The selected Respondent is strongly encouraged to make every good faith effort to equitably utilize the services of City certified minority business enterprises (“MBEs”) and women owned business enterprises (“WBEs”). Request For Information deadline: Friday, October 12, 2018. RFP Closing Date: Monday, November 5, 2018 at noon. See Baltimore Development Corporation website.